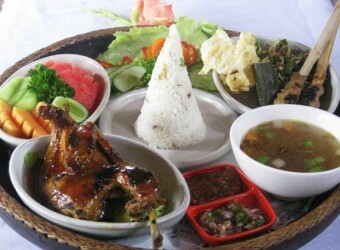 Bali Restaurant Padi Prada's 5 luxurious suite style Villas located next to monkey forest Ubud. Padi Prada Restaurant with 167 seats in the villas provides western food. You can enjoy both delicious food and beautiful rice field scenery from terrace seats. Duck dishes are also popular menu item of the restaurant. HIROchan introducing 7 set menus. Padi Prada Restaurant also offers cooking class.